Festival-Zeit – Mitfeiern beim Spirit of Woodstock Festival!!!! Dieser Blog wird während dem Spirit of Woodstock Festival, das von morgen dem 25.07.08 bis zum 3.08.2008 geht, eine Pause machen, denn natürlich will ich mit dabei sein, also bis bald – und bis morgen oder die nächsten Tage für all diejenigen die auch zum Festival kommen. 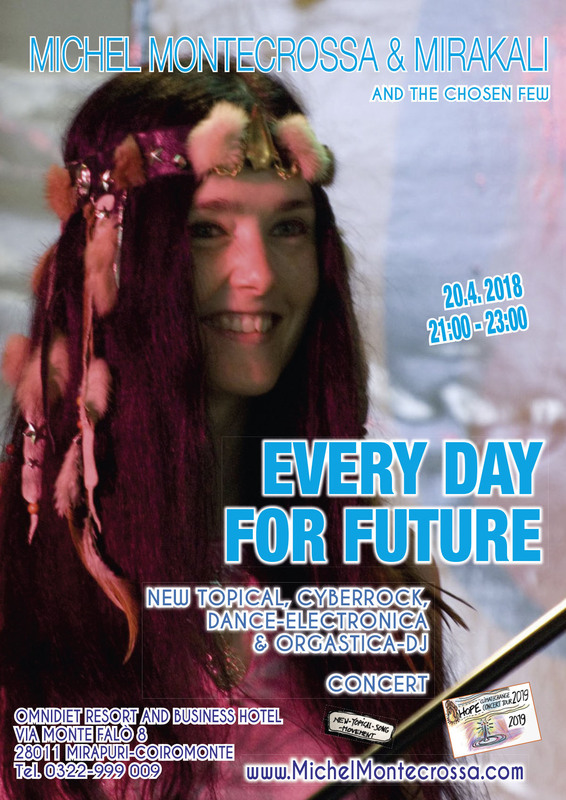 This blog will make a ‘Festival-Holiday’ – this means OF COURSE I WILL BE AT THE SPIRIT OF WOODSTOCK FESTIVAL FOR THE NEXT 10 DAYS – THE BEST ALL-OUT CYBERROCKIN’ LIVE-EVENT ON EARTH!!!!!! 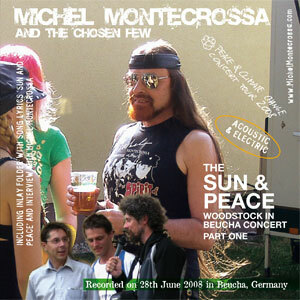 Neuerscheinung: Michel Montecrossa’s ‘Woodstock in Beucha’ Concert jetzt auf CD!! Yeah, here I post the pressrelease of Michel Montecrossa’s new CD presenting his powerful ‘Sun and Peace Woodstock in Beucha’ Concert, that was staged on 28.06.2008 at Brandis-Beucha – the best modern topical songmusic and authentic rebel-heart guitar & rock-voice & harmonica there is!! 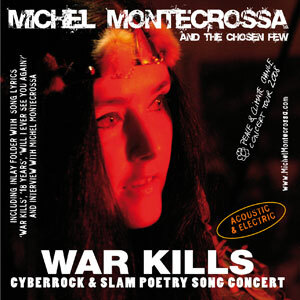 ‘Sun & Peace’ is Michel Montecrossa’s twelfth global cyberrock & slam poetry concert of his ‘Peace & Climate Change Concert Tour’ released by Mira Sound Germany as two parts on two double Audio and DVD Boxes presenting 24 topical Michel Montecrossa songs including the title song ‘Sun And Peace’, the transcendental ‘Earthrocker Callin’ You’, acoustic blockbusters like ‘Voice Of Peace’ and the celebration hit song ‘Sunray Generation’. Mirakali and Diana Antara contribute songs of change like ‘Never Too Late’ and ‘Europe The Beautiful’. About ‘Sun & Peace’ Michel Montecrossa says: “Sun and peace are two sides of the same soul. Something is coming and it is coming from within. Sun and peace are lovers, they will always win. Sun and peace together are the answer of the soul. Sun and peace together for the good of all. Der ultimative Countdown für das Festival hat begonnen …. diesen Freitag geht es los!!! das ‘Spirit of Woodstock Festival’, findet am Omnidiet Hotel in Mirapuri-Coiromonte (Norditalien, in der Nähe von Lago maggiore und Lago d’Orta) statt – diese Wegbeschreibung gilt auch für das gleichzeitig stattfindende Mirapuri Rainbow Gathering, das etwa 40. min entfernt (zu Fuss) oberhalb in den Bergen stattfindet. Ich habe als Ausgangspunkt mal München gewählt. Von München die Autobahn Richtung Lindau wählen. Durch den Pfändertunnel weiter auf der Autobahn bleiben. An der Ausfahrt Hohenems (Diepoldsau) in die Schweiz wechseln. Auf der Autobahn bleiben Richtung Chur/Sargans, dann Richtung San Bernadino, schließlich Richtung Bellinzona. Die Ausfahrt Locarno Richtung Locarno…Brissago/Italien wählen. Dort am See (Lago Maggiore) entlang durch Oggebbio, Verbania Richtung Milano/Genova. P.S. : wenn man hier in den Ort reinkommt braucht man nicht mehr von der Monte Falo abbiegen, das Omnidiet Hotel ist das erste Haus auf der linken Seite nach dem Ortsschild von Coiromonte. 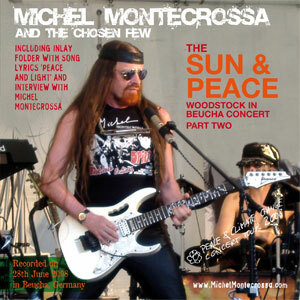 Trailer von Michel Montecrossa’s ‘Peace & Light’ Konzert in der Toskana Therme ist online!! Ich fange heute mit dem Eröffnungskonzert dieser Tour an: dem ‘Sunray Revolution’ Concert!! Yeahhhhhh!!!!!! 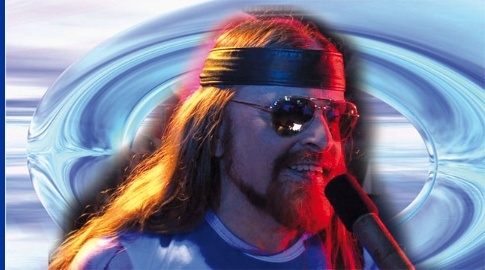 Now are online several concerts of Michel Montecrossa’s ‘Peace & Climate Change Concert Tour’ at Blip.TV – I will start today with the opening concert of the tour, the famous ‘Sunray Revolution’ Concert!!! 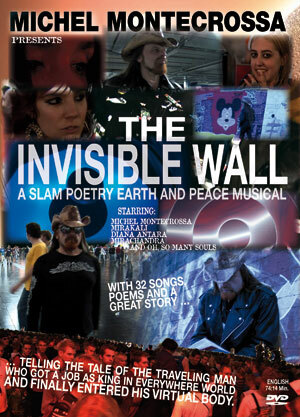 ‘The Invisible Wall’ – Michel Montecrossa’s fantastisches Slam Poetry and Peace Musical auf DVD!!! ‘The Invisible Wall’ is an orphic story looking through the many symbols and events of life to the reality behind. Und dann natürlich noch das Stück ‘Water is Life’, Michel Montecrossa’s Themen-Song für die derzeit in Zaragoza, Spanien stattfindende Expo – Spanien als eins der Länder für die Wassermangel, siehe Beispiel Barcelona, ein sehr aktuelles Problem geworden ist und überhaupt davon ausgegangen wird, dass Trinkwasser im 21. Jahrhundert eins der dringendsten Fragen/Probleme sein wird. Das Video zu ‘Water is Life’ findet man auf Michel Montecrossa’s Newsletter und Spirit of Woodstock Festival-Fans können sich schon auf dieses Lied freuen. Dran denken: das Festival fängt am Freitag in einer Woche (25.07.) an!!! ‘Water is Life’ is Michel Montecrossa’s song that has been presented on this year’s Expo in Zaragoza, Spain. The song addresses the urgent problem of water/drinking water that in the course of the 21st century (and in many places already now!!) is expected to be of even higher importance than oil. The amazing video for ‘Water is Life’ can be found on Michel Montecrossa’s Newsletter . but you do the wrong. What will you do when killers come to you? We’ve gone a long way, still don’t know what to do. War kills for sure, is dirty business. But business is strong and you want your easiness. You don’t know and nobody will know you. War kills even lovers when they turn to hate. You can’t find a job when you make mistakes. If you don’t care for others, nobody cares for you. War kills everybody, is strong with deadly doom. If you don’t want to be true, what else you want to do? If you don’t want to listen, nobody listens to you. War is no good story, hides the answer from within. Stay with your lovers and make them all a-sing. What will you do when sunshine comes to you? I guess you know the answer and me I’m happy too. “Sweet is the song which nature brings! with the length of deep long winters. from their mountain-springs with sweet inland murmur. Hier also ‘Frisch gepflückt’ vom Michel Montecrossa Newsletter die Vorstellung seiner ‘Next Generation’ Konzertreihe, die er auf dem diesjährigen ‘Spirit of Woodstock Festival 2008’ vorstellen wird und die das Thema seiner ‘Peace & Climate Change Concert Tour’ weiter ausbauen wird. 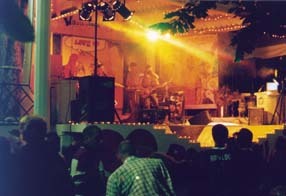 “At the Spirit of Woodstock Festival 2008 in Mirapuri me and my band perform our 10 days ‘Next Generation’ concert series. During these concerts we present topical songs dealing with the life on our rapidly changing earth and the impact these changes have on the next generation. We all have to face times when we can no longer switch back the clock or overlook the facts that give an new meaning and reality to our life.